To awaken the inner honest feelings, good feelings – positive feelings, and the regular practice of keeping that always awake is ‘Maha Sadhana’. Those who want to get peace by taking shelter in God, want to be in union with God, want to gain salvation, for them is ‘Maha Sadhana’. Those who want to surrender oneself to God, and want to lead a happy life, for them is ‘Maha Sadhana’. Those who are not eager to know of God but want to attain life which is only pure sacred – beautiful – peaceful – joyful, for them is ‘Maha Sadhana’. Most of all articles are taken from the lectures of MahaAnand. Cleanliness is the seat of true love and God. Eternal lover is the man of clean - sacred mind. He will take care to maintain cleanliness of his body - mind - environment. The person of eternal religion, God lover, world lover, eternal lover does not possess jealousy, anti - feeling against other religious, person. Eternal lovers do not look out for other’s faults. They consider the faults of people as desire of God or his miracle or thin king them to be human beings ignorance, look on them with pardoning eyes. He has no complained to God. He never gets irritated or angry on any cause, always satisfied. He thinks. “God is Auspicious, – whatever God does is all for the good, – with my tiny knowledge or ignorance, I am unable to justify God – everything is his will – whatever state he keeps me I am happy”. Eternal lover likes easy simple lifestyle. Argument, discrimination, justice, unkindness, selfishness, pride, Jealousy, hatred – none of these is symptoms of eternal love. Pure spontaneous love, unisexual selfless love is the characteristic of eternal lover. He likes, that’s why he loves, why love – what will happen on loving – all these eternal loves do not think. He seems to be a source of spontaneous shower of immense love. He is happy by loving; he does not want anything in exchange of love. Even he does not want love in exchange of love. Absolutely unisexual love is the symptom of eternal love. Loving life – loving world is his. In life of eternal lover storms, obstacles, unhappiness, hardship, natural calamity, hurts, may come as much as possible, at no cost he becomes abnormal, s/he is always peaceful, always in a happy state. The main asset of the eternal lover is his trust. On God – on human being firm trust on own self. S/he thinks, nobody can harm him unless God wants. Whatever happens is fully on the will of God. He does not blame anyone for anything, even he dose not blame own self. He thinks everything is wish of God; his own desires too are the desires of God. A category of devotion yogi thinks that, God wants well – as much good – all goods are gifts of God. Whatever wrong are, due to our faults – due to faults of human being, as you do, the same is the result. These are not eternal lovers. Many say of eternal love with pomp & show, but true eternal lovers are how many. Eternal love is not any rumors (that who lie or act, for them it is separate). It is the heart’s valuable riches. Many say it – blindness – emotion, deeply emotional (mad-like), tries to verify or underestimate it that does not matter to the eternal lover. There are many stages amongst eternal lovers, amongst them of the main two categories, one is the simple human being, and in the other category is the very high human being whom we work ship as prophet – work ship with Godly. After attaining all knowledge becomes wise, after crossing the path of dull knowledge feeling every living being as one’s own self – those who have been completely self – forgotten in the universal love – they are the – high-minded noble eternal lover. ( based on Maha Sadhana––the way of devotion and eternal love). Originally Humanism is our Religion, our Devotion to human interests. The true-spiritualism and the great religious doctrine of MahaAnand ––the great preceptor, the great humanitarian, the great sage of the modern age. A true fair and joyful religion that helps to bloom the Mind, without any bad side like superstition, malice– hatred, cruelty, malpractice. There are two way in ‘Maha Vad’, one is ‘Maha Manan’––the way of true spiritual knowledge and self-development. 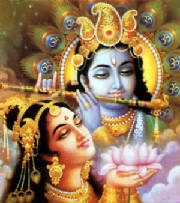 Other is ‘Maha Sadhana’––the way of devotion–the way of pure love––eternal love. A modern society for science and spiritual conscious men, who have eagerness for self-knowledge, self-realization and self-development, who are fond of truth. ‘Maha Jnan Mandal’ and it’s all programs are based on ‘Maha manan’( one of two paths of ‘Maha Vad’)–– The path of blooming consciousness, the way of true knowledge. If you want to make your life more beautiful, happy and peaceful, If you want to enjoy the life more nicely, If you want to get a healthy and prosperous life, come and join our society. 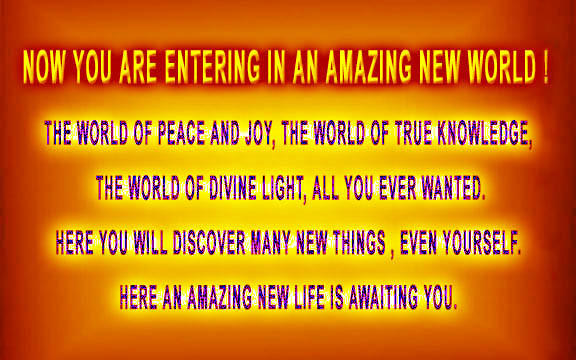 There an amazing new world is awaiting you! A modern society for devotees and eternal lovers. If you want to be included yourself in an eternal joyful–– peaceful––loving world and if you want to enjoy a lovely delightful life with full of eternal love–– joy and peace, ‘Maha Sadhana’(one of two paths of ‘Maha Vad’ ) is the right way for you. There, where is only one close connection of nectar like eternal love with God, with nature, with human and all creatures. Come and join our society. There an amazing new world is awaiting you! Love of simple people – one of the devotional categories is – devotion due to fear or fear leading to devotion. For e.g. – devotion towards ruler or king, Devil, Powerful person, Evil unlucky gods and goddesses or Evil god. The other category of devotion is – devotion due to self interest. Whatever fulfils the material need of persons, whatever brings for his / her body-mind – comfort, satisfaction, happiness – for them is devotion. The pure devotion is – spontaneous flow of love of the heart – respect – the love, without apparent cause – the happiness showers out form the heart and distributing the same love amongst all, happiness can be felt more multiplied time. This is called love without cause. Love for love. Happiness for happiness. For what cause and from where, so profuse love and happiness flows out, from within him / her, the eternal lover dose not know himself / herself. S / he never loves anyone by any judgment – by any measurement – for any purpose. S / he have abundant love / happiness mine within him / her. Just like the opening out of mouth of a mine, like a Volcano, the lava flows out. Welcome! Those who want to be Preachers of ‘MahaVad’. Adoration, muttering of prayers, Counting Rosary Beads, self-suggestion, chanting, devotional songs (rhythmic singing and dancing with musical instruments) etc. as indicated by ‘MAHA’ should be practiced daily at your temple or ‘get together place’ with co-religious people, getting together. ‘Maha Anand Song’ is an important part of ‘Maha Sadhana’. During the period of pre-mentioned ‘Maha Anand Songs’, or at its end, any person may get ‘trans’ at any moment and sit for meditation there itself. S/he will meditate the happy scene or idol of God or inner mind’s light. This is also a part of ‘Maha Sadhana’. An eternal lover is always joyful – we are more associated with this idea. There are such eternal lovers at very high level – even such types of human lovers are there, who are very much moved, by whole world’s sadness – hardship. They are so much over sensitive that and so much full of empathetic ness; they consider and feel the entire creature’s sadness –hardship, as their own sadness – hardship. They are always engrossed in the thinking that how to free all the creatures form sadness – hardship. Even so, they can’t tolerate the hardship of creatures, and search for God and take his shelter to find out the causes of sadness –hardship of creatures, they violently agitate the world’s Origin to End. They are emotionally moved due to people’s ignorance – unconsciousness. Unable to find breakdown in frustration. Ultimately, they become very sickly. One of these very high category eternal lovers is our Guru (preceptor) – MahaAnand. He started his spiritual life with the aim to solve the sadness – hardship of creatures. Though unable to solve the sadness – hardship of creatures, due to result of his tired less effort, only we presently have come to know the causes of sadness – hardship of creatures. We have got form him and unseen new excellent philosophy. The ‘creation mystery’ of the past, which was dark, secret, has been revealed – the true almighty and Creation Mystery too! We have been able to achieve great self-knowledge, by achieving this, though not fully, partly our sadness is gone. Besides this he has given us many effective information about path and procedures about solving people’s sadness. If we follow and practice this appropriately, we can achieve beautiful – joyful life. Mainly there are two ways in the spiritual world, one is to get God, and another is to be God. One is the way of Devotion and another is the way of Knowledge. 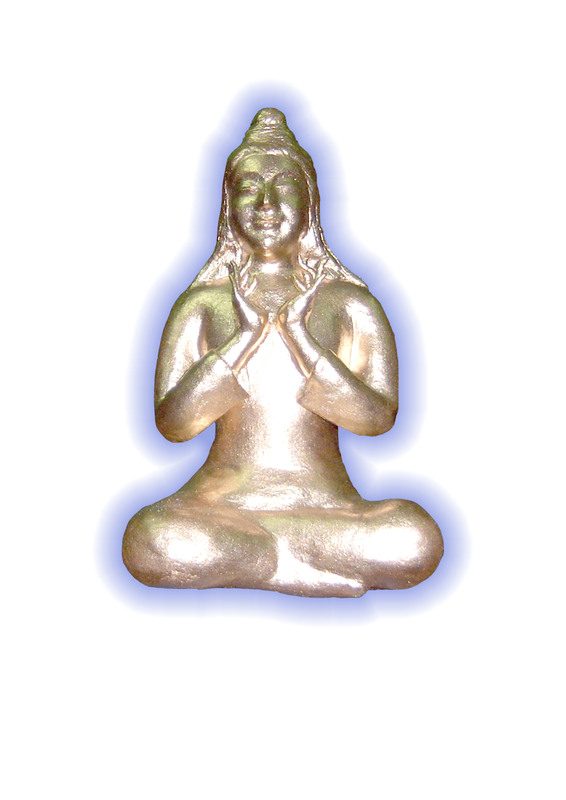 'MahaSadhana' is the Devotion-path, the right path of communication with God through Devotion.